As of October 3rd, 2015 TRID (also referred to as the Know Before You Owe rule) has been implemented to help borrowers understand the terms of their home financing transaction and have all the information they need to make informed mortgage choices. What does TRID stand for? TRID is the TILA / RESPA Integrated Disclosure Rule. Only in the mortgage world would we make an acronym out of acronyms… so let’s break this down a little further. TILA is the Truth in Lending Act and RESPA is the Real Estate Settlement Procedures Act. The CFPB modified both rules in its TRID final ruling. So what can you expect now that this rule is in effect? First, you will see consumer disclosures that are very easy to read. The Loan Estimate forms will clearly set forth the terms of the proposed transaction to help the borrower determine whether they would like to proceed with the transaction. Next, consumers will be given their Closing Disclosure early. Before closing on a home purchase or refinance, consumers must receive a copy of their Closing Disclosure at least 3 business days prior to closing so if they have questions, their Loan Originator can provide them with additional information. The format of the Closing Disclosure will also mirror the Loan Estimate to make comparison easy. Due to these new requirements and timelines, it is important for borrowers to work diligently with their lenders. All documents requested should be submitted in a timely fashion and the borrowers lender and agent should be in close communication regarding any price changes, credits, or appraisal issues. 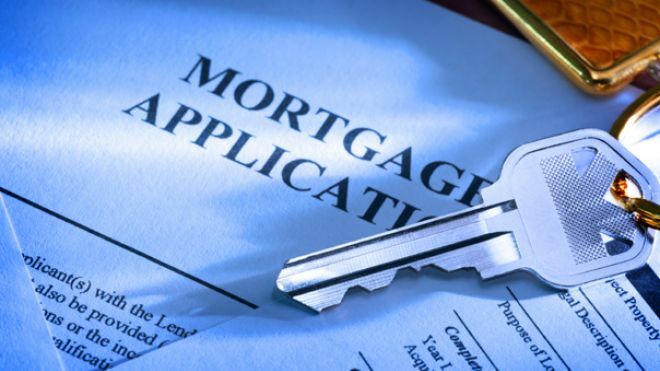 It is always recommended to get pre-approved and to choose your lender prior to starting your home purchase process, however now with the new Know Before You Owe rule, it is that much more essential. Click HERE for a copy of a step-by-step brochure provided by the Consumer Financial Protection Bureau. And of course, feel free to contact us with any questions you may have in starting your home buying or selling process. There are different loan programs and many of you have heard about FHA loan programs. Although it is one of the most common loan programs, it also has a lot of misconceptions that deter buyers from exploring it as a option. Vincent Tomich, from CMG Financial, has outlined some of these myths to give you a better understanding how an FHA loan might be a good fit for you. Feel free to reach out to him if you have any additional questions regarding different loan programs. His full contact info is listed at the end of this post. Myth: FHA Loans are for First-Time Homebuyers Only. Truth: FHA loans can be used by all homebuyers. I think that this myth stems from the marketing of FHA loans as a good product for first-time homebuyers because of its low down payment requirements. FHA loans are available for any primary residence and are not limited to first-time homebuyers. Myth: I Can’t Purchase a Condominium with an FHA Loan. Truth: If you plan on living in the condo as your main residence, you can get an FHA-insured loan to purchase this kind of property. You can also purchase multi-family homes; the residency rule still applies. Myth: FHA Borrowers are Poor Risks. Truth: FHA Borrowers in FY 2014 have an average credit score above 680. FHA credit quality has improved steadily since 2007. Over 40 percent of FHA loans made in every quarter since 2009 had credit scores above 680. In 2006 and 2007, only about 20%of the FHA loans insured in 2006-2007 had credit scores above 680. Myth: FHA is Experiencing High Defaults and Foreclosures. Truth :FHA, like every other holder of mortgage risk, incurred financial losses as a result of foreclosures; however, an analysis of FHA data indicates the problem is concentrated in older FHA loans that were affected by the decline in house prices since 2006. There has been widespread improvement in the performance of FHA loans since the market collapsed in 2008. In just the past year, delinquency rates have improved by 14 percent and recovery rates have improved by 23 percent. Myth: My Bank Won’t Process FHA Home Loans. I should Just Get A Conventional Loan. Truth: There are plenty of reputable lenders approved and willing to work with you on an FHA guaranteed home loan. It’s true that some lenders refuse to write FHA loans; if your current lender won’t help, ask our trained professionals here at CMG Financial. You’ll find plenty of professionals who want to get you started on the road to an FHA mortgage. Hi Everyone! I hope you are enjoying your week so far. Rates are fluctuating and were up earlier this week and then went back down again by the end of yesterday. For a 30 year fixed loan, rates are around 3.9-4.0% today. As you may or may not know, your credit score has a direct effect on your rate. Therefore, it’s important that you know what your credit score is and how you can improve it as well as what dangers there are to lowing it. 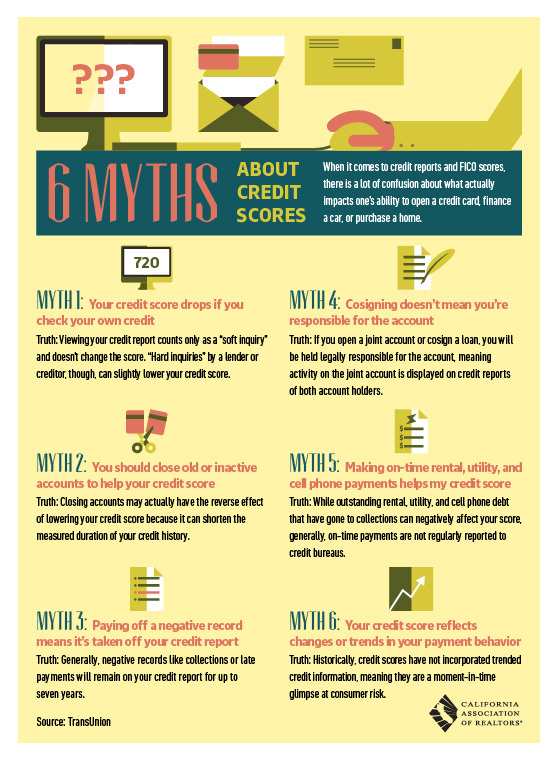 Today I’m sharing 6 myths about credit scores that may clarify some assumptions you’ve had. Enjoy! 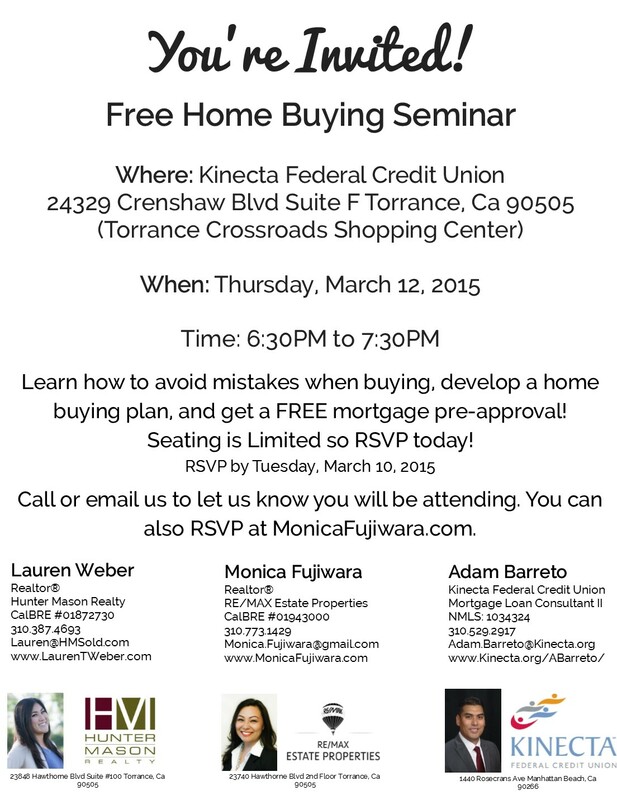 Join us at our Home Buying Seminar! If you are thinking of buying, in the process of searching, or plan to buy in the future, then please join us in a couple of weeks for our home buying seminar. I have teamed up with Monica Fujiwara of RE/MAX Estate Properties and Adam Barreto of Kinecta Federal Credit Union to bring you the inside scoop on how to get your offer accepted in this competitive market and what to plan on during your search and home buying experience. Financing questions will be addressed and you will even have the chance to get prequalified on the spot! Don’t miss out on this opportunity to get your dreams and goals of becoming a homeowner in order. Please contact me at 310.387.4693 or laurenw@hmsold.com to RSVP today. Hope to see you there! -Pay down your mortgage to 80 percent of the home’s original value. -Lender may require you to certify that there are no junior liens (like a second mortgage) on your home. -Lender may require an appraisal (paid by the borrower) to prove the value of the property has not declined below the original value. -Request usually can only be made two to five years after taking out the loan. -Lenders must terminate PMI when your principal balance reaches 78% of the original value of your home. This date is predetermined when the loan is first establighed and is based on the scheduled date the loan is expected to reach 78% of the original value. So, unfortunately paying down your mortgage faster will not apply to this method. Your payments must also be current otherwise PMI will not be terminated until they are brought up to date. -You can make a one-time upfront purchase of the mortgage insurance and this can be paid at the close of escrow possibly by the seller or even financed into the home loan. -You must qualify with a lender which will require you to purchase a new appraisal, have 20% equity, and also pay lender fees. Every private lender has different guidelines so be sure to check with them about their PMI cancellation and termination requirements. Also, these methods usually do not apply to FHA or VA loans. I am so happy to share that Ignacio closed his escrow last week and is now officially a homeowner! -VA loans MUST have not only a termite report but also full clearance on any recommended termite work which includes section I (usually seller pays for these) and section II items. (easy handyman work that buyers usually take care of). -NO per diem can be charged to the buyer as the lender will not approve the loan with these additional charges. 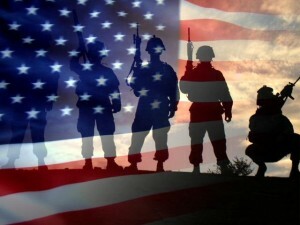 If you are a veteran you should look into your options for purchasing a home with a VA loan. I definitely believe that our vets should use their benefits that our government offers for their service to our country. My recommendation is to always explore your options but if you are purchasing with a VA loan, look for a house that is new(er), in good condition, or flipped. Congratulations again to Ignacio! It was a tough escrow but we did it! Meet Jason and Trish! They were able to purchase a home last year using their benefits of Jason being a US Veteran. It was such a privilege to get to work with the two of them and although Jason and I are family, it was a great bonding experience to be able to work together and get to know him and his fiancé better through their buying experience. 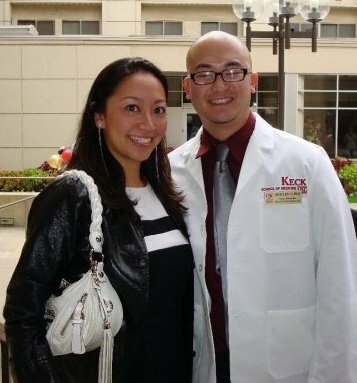 I love the dynamic between the two of them and am so happy that they will be tying the knot this summer. After months of searching we found a cute home in San Gabriel that they now call home. This year I am currently working with another well deserving veteran but he has also qualifies for a conventional loan. The question of which loan he should use has arose and also brought up some good points that other veterans should be aware about. For starters let’s answer the question of “What is a VA loan?” VA stands for Veteran Affairs and it is a loan that allows not only veterans but also active duty, retired, prior military, and surviving spouses as long as they reach the required days of service. Some people have the preconceived idea that an offer that is presented with a VA loan is not as strong of an offer as one with a conventional loan. However, I have found this to not be the case. Like most situations in real estate, it all depends on a variety of things. If the house is in good condition and if rates do not vary significantly it might be better to go VA. Also, if you qualify for disability you do not have a funding fee. I have found a really great loan officer that can do a 30 day escrow and who’s interest rate is competitive with their conventional loan. It is in my current clients best interest to use this loan officer and go VA.
My best advise would be to shop around and have your loan officer(s) do a clear break down of what the cost of the mortgage would be with each loan they offer. If you do not have disability, how much will the funding fee be? Can they close a VA loan in 30 days or less? If you were to go conventional how much is the cost per month for mortgage insurance? Ask for any additional information they have and ask for a side by side comparison of each loan option you qualify for. In the end you want to get a loan officer that is willing to work with you to get you the best option possible for your personal finances. You also need a real estate agent that knows the competitive market we are in and how to best position your offer. I have my veterans write an offer letter introducing themselves to the seller which gives the offer a personal touch. I also look at homes that have sold in the past three months in the same neighborhood to figure out a good price to offer. And the best thing that I can do for my client is build a personal relationship with the listing agent to position our offer as best as we can. I can’t say enough how vital it is to have both a good realtor as well as a good loan officer in your corner to get you through a successful escrow. Thanks for reading and as always I’m here to answer any questions you might have.